So you’re ready to jump on the inbound marketing bandwagon? 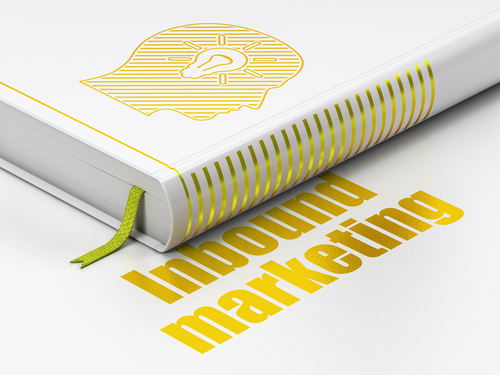 We are super excited for you because as you know, here at New Breed, we love inbound marketing. We can confidently say it’s the future of marketing and we can promise that you will not regret this decision! By enacting an effective inbound marketing campaign you will start seeing not just an increase in the number of leads you are generating but an increase in the quality of these leads. By shifting your focus from selling to educating and problem solving you can begin to target prospective leads that would be a good fit for your business. With inbound marketing, most of the leads you are generating are looking for you and the products or services your business can offer them. Instead of interrupting people’s day with advertisements we are creating content that will attract people to you. With an inbound marketing campaign we want to position ourselves as a thought leader within our field. When we invest time to share our point of view, suggest a solution or educate the reader we are earning credibility and trust. This content serves as a powerful lead generation tool that will attract visitors who are searching for a solution or looking for information. They may find you through a search engine, by seeing shared content on a social media network or even word of mouth, but however they find you the point is - they were looking. Of course with all marketing you still have some convincing to do but at least you have a leg up! And you’ll love this aspect: for the most part it’s pretty simple to incorporate inbound marketing into an existing marketing strategy and very inexpensive (if not free!). In this blog post we are going to discuss 5 key points to get your inbound campaign off and running and go over the planning, management, organization and coordination of inbound logistics. Dynamic content is what keeps a reader on your website or blog. It is the reason they finish reading your post and the reason they come back for more. Valuable content needs to be readable and searchable. Before you begin writing take a minute to think about your topic, make a mental note of the keywords and do the necessary research. Making an outline can be helpful to keep your writing on track and keep the content flowing in the order you had intended. Know the target persona you are writing for. What questions and problems do they have? What language do they speak? It’s okay to use technical jargon if the reader is going to understand it, after all, you don’t want to waste time and page space explaining a term that your reader hears every day. Instead try linking the word to another page that offers a more in depth description. Now for the searchable part: SEO is not a term many copywriters like to hear but fear not, there’s a good chance the content you are creating is already kind of optimized and searchable! Did you stay on topic and cover the subject clearly and concisely? If the answer is yes then you're writing already contains some keywords. The problem with thinking only about SEO when you are writing is that your words start sounding like they were written by a robot. And while Google might find this content in a search, a person who starts reading it is probably not going to finish and most certainly isn’t going to share this content or read other things you wrote. The trick is keeping keywords in the back of your mind and plugging them in when it feels natural and fits into the writing. Does that sound impossible? If you’re thinking yes, then forget all about keywords. Seriously, just erase this last paragraph from your memory and start writing great content. Keep in mind all the other points we covered, about staying on topic, language, etc. and when you’re finished read over your piece. Now start thinking about keywords and try to find places to plug them in or substitute them without it sounding forced. Distribute them as evenly as possible throughout your writing and make sure they are included in your title. Once you start thinking about the inbound logistics of content writing you may be surprised at how successful you are at it already! When we talk about inbound marketing we are talking about having a conversation with a prospective buyer. It’s not about blindly publishing advertisements in the newspaper or sending out bulk email campaigns into the Internet abyss. It’s about connecting with people that have a problem we can solve. It’s about asking our prospective buyers to take actions, to click on something or to share something in an effort to educate them and also educate us on how we can be of service. By doing this we form relationships and inbound logistics is based on the relationships we form with clients and prospective buyers. So how do you do that? Call-to-actions and offers are a great way to begin developing these relationships and also drive traffic to your website. Start by thinking about what you have to offer a prospective buyer. What piece of knowledge could you share with them that would be helpful? Maybe you have a great website template or know tons about office organization. You could create a webinar or an eBook that you make available for people to download for free provided they give you, for example, their email addresses to add to your mailing list. This offer would live on a landing page, or as we like to call them, conversion pages, that a prospective buyer would be directed to when they click on your offer. The landing page should be simple to understand, free of other advertisements and clearly state what you are getting from the download. In a few seconds they can enter their information and click download. They will receive your offer and instantly be directed to a “thank you page” which will, obviously, thank them for downloading your offer and also show them some other offers you have that they may be interested in. There are a few important things to know when designing a landing page and it’s most important to make sure your offer follows through with what you promised. If you say your offer includes a checklist to designing a responsive website then make sure your offer does in fact include this checklist. If your offer falls short you are going to lose credibility, trust and at least one potential buyer. If you have been ignoring social media up until this point it’s time to admit it is not going away. Not only are they a great outlet for creating conversations, they can also help personalize your business. Social media accounts take seconds to set-up, are free and play a major role in today’s inbound marketing. There are no excuses! Figuring out what networks your target buyers are using is the first step to building your social media presence. Ask around, and test some out by setting up accounts on a few of the more popular networks like LinkedIn, Facebook or Twitter. Each network offers something different and has a different feel so it’s important to tailor your content so it’s appropriate for each one. Facebook, for example, is much more casual, while LinkedIn is more business minded. Although you can share the same blog post on each platform, the message you include should differ depending on the network. “What’s hot in inbound today? !” is better suited for Facebook. “Read more about new inbound trends” would be a more appropriate way to say the same thing on LinkedIn. Social media buttons are something you can incorporate on your website, at the end of your newsletters or the end blog posts. This is a great way to draw people to your social media pages and encourage them to begin following you on a new network. It’s also a good way to encourage people to share your content with their friends and expand your reach. Delivering the proper content to the right person at the right time is what inbound is all about. It's about knowing that the individuals you are emailing an offer to are actually interested in that offer. It's about knowing what offers to include on a thank you page based on what offer they downloaded in the first place. There are tons of ways to target your content and it’s not as complicated as it seems. Do you cater to 2 different buyer personas? Try segmenting your email list so that you aren’t sending out emails to people on your mailing list that are not interested. You’ll probably see an increase in your click-through rate and a decrease in your unsubscribe rate. To make this even easier a lot of these techniques can be automated so that it’s something you only really have to think about initially. Thank you pages can be designed to be unique to the offer. Follow-up emails can be automated and personalized depending on what brought the person to your website in the first place. And if this still seems like an overwhelming amount of information, relax and start small. Changes don’t happen overnight and any step you make towards your inbound marketing campaign will mean volumes to your ROI, we promise! With marketing logistics the testing, analyzing and adjusting is never truly finished. And it shouldn’t be! Inbound marketing techniques are constantly advancing and changing, meaning something that worked last year might not be as effective this year. There are new trends popping up daily and it’s your job as an inbound marketer to keep up on these. Research constantly, run Google analytics, set up A/B tests and personally look at the popularity of your inbound logistics daily. What type of content is most popular? What time of day are your readers most active? What networks are you getting the most feedback on? These are just a few of the questions you should be asking yourself every day. Don’t be afraid to make changes when something isn’t working or embrace a new technique that appeals to you. With the rate at which inbound marketing is growing there is no cut and dry path to follow. Understanding your target buyer, knowing what your brand stands for and embracing it are the most important aspects to setting up a successful inbound marketing campaign and nailing the inbound logistics that are involved to do so.